Haley was incredibly stunning when we arrived for her bridal session at Rip Van Winkle. It was our first time meeting her and her family in person, and we hit it off immediately. We had been texting leading up to the session and couldn’t wait to meet her and see what sort of dress she would walk out in. She immediately blew us all away. I’m a major sucker for a Rue De Seine wedding gown and when Haley walked out of the dressing room to meet us, I’m pretty sure I almost screamed I was so excited. Haley wanted something different for her wedding, something classy with an edge, and she nailed it. 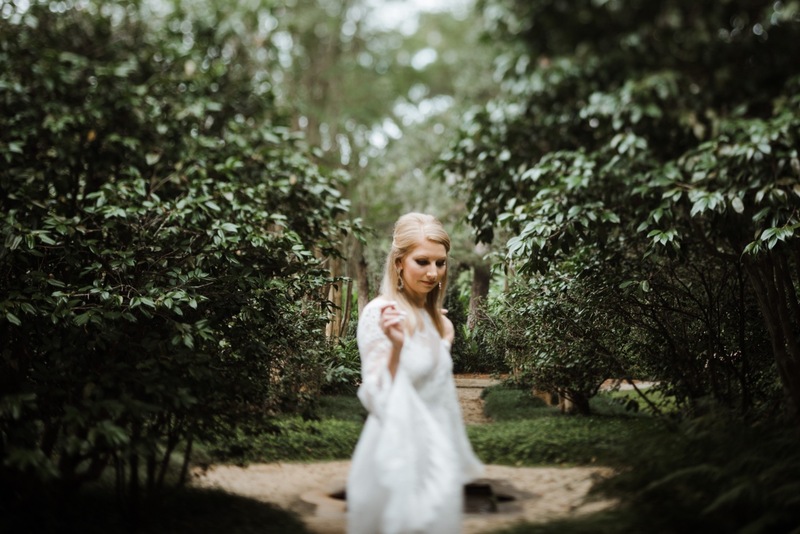 With a killer dress covered in fringe (my favorite) and the best cloudy weather we could’ve ask for, we ran around Rip Van Winkle Gardens and couldn’t be more excited to share what we captured.